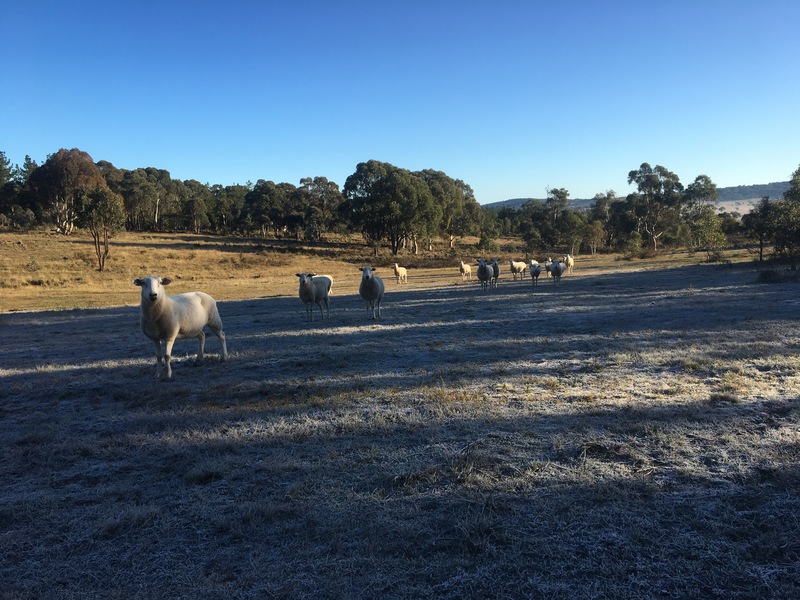 There is something delightful about frosty mornings, with clear skies and the promise of a glorious winters day. Winter is one of my favourite times of the year on The Rock Farm. Today, the first day of winter, was a perfect example of my ideal day. Unfortunately winter also means our grasses stop growing and our stock start feeling hungry. With such a dry autumn, our feed levels were really low before winter began. It means our sheep are hungry. So much so that the sight of me with a bucket has them coming running for breakfast. 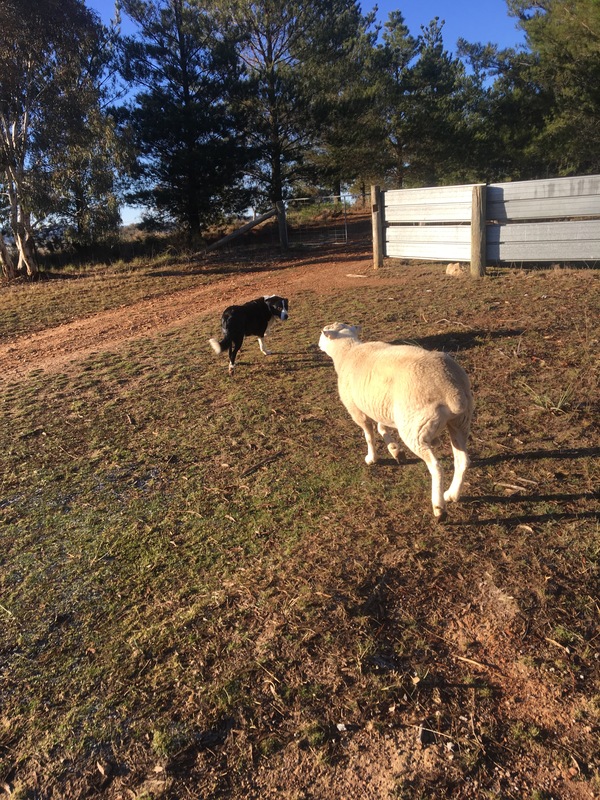 It also makes for an interesting stand off between the ram, and the dog, who might look like a sheep dog but is really a Labrador in disguise. Breakfast is best served in the yards. It makes for easy mustering as the sheep happily file in for a meal. 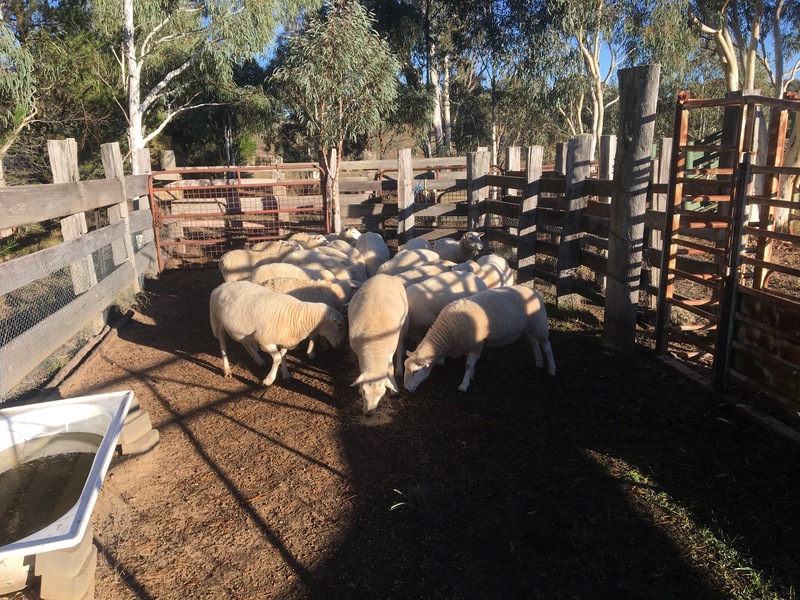 Should I need to conduct a welfare check on any of the stock, I know that they are easy to catch, and their stress is minimised. It is a glorious wonderful celebration of all that is good with the world. Have I ever said how much I love living on The Rock Farm?